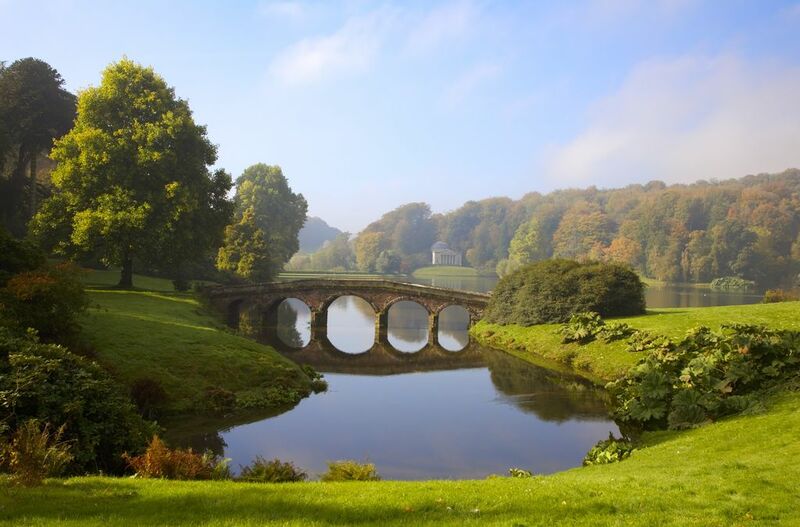 The garden at Stourhead, designed by the banker Henry Hoare II (1705-85), is a superb example of English landscape gardening. He was inspired by his travels and paintings by Claude Lorraine and Nicholas Poussin, in which nature is presented in luminous shades of colour. The gardens are studded with temples and feature a lake lined with carefully planted trees and conifers. The house is also open to the public and its state rooms are definitely worth a visit.